Yes, yaks and alpacas are both farm animals, but there are as many differences as there are similarities. Both eat hay and grass. Both are curious and intelligent animals. Both are exotic and beautiful. Heat is friend to neither species and cold is tolerated well. 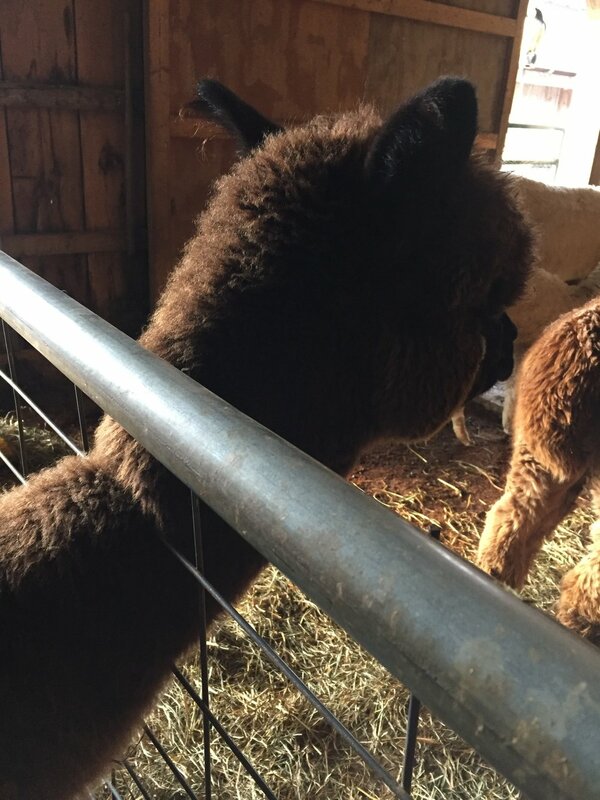 We had discovered (the hard way) that alpacas are at risk to get their long necks caught in things like fences, strings, etc. The horns on yak put them in danger of getting stuck--in feeders, fences, and each other. We have had to modify our farm operation to facilitate their wide horns. Sue, the yak, had to be freed from a wooden feeder with a saw and Saltora had her entire head caught under our fence twice which involved a chainsaw rescue. Snow piles up here in CNY (Syracuse earns the golden snow globe award most years). Our first winter with yaks we found out an important difference in the herds. Alpacas stay away from deep snow. They prefer a shovelled path. Yaks will plow right through it, sleep under it, or test it. The snow had drifted completely over portions of our fencing and had hardened with a thick crust over it. The yaks found the snow bridge very convenient. It gave them a nice avenue to get to the little bit of green grass poking up through the melting snow on the OTHER SIDE OF THE FENCE. We happened to be out of town when we got the call that they were loose. I had to call the high school and ask them to send my then-teenage son home to herd them in. Yes, there is much to learn. I will dredge up old tales of our successes, failures, and lessons learned in the blogs to come.